Seed pocket envelopes are a type of smaller envelope most commonly used as their name states for storing plant seeds in them. However, these small pocket envelopes are also ideal for smart parts, samples, jewellery, enclosures, invitations, loose coins, notes and payroll applications. Tudor has been manufacturing high quality products for generations. For an extensive range of envelopes that deliver, trust Tudor. No.3 Plainface Gummed Gold Kraft Seed Envelopes. No.4 Plainface Gummed Gold Kraft Seed Envelopes. No.5 Plainface Gummed Gold Kraft Seed Envelopes. No.6 Plainface Gummed Gold Kraft Seed Envelopes. 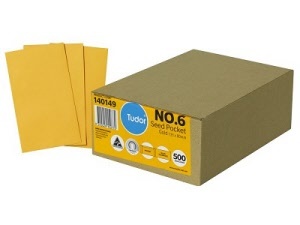 Very Popular No.6 Gold Kraft Seed Envelopes with Press Seal closure. No.7 Plainface Gummed Gold Kraft Seed Envelopes. Popular No.7 Gold Kraft Seed Envelopes with a Press Seal closure. 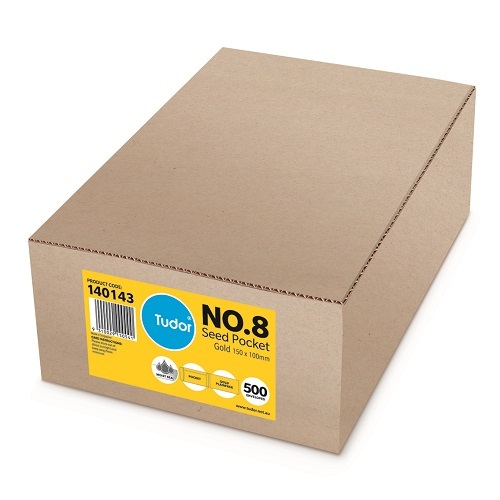 No.8 Plainface Gummed Gold Kraft Seed Envelopes.